NEW! 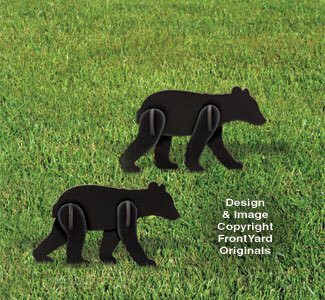 Life-size mother bear and cub look so real walking across your yard! Expand to a family of four with Bear Cubs Add-On (#FY2005B) available below. Free Shipping (Contiguous United States only) on this item! 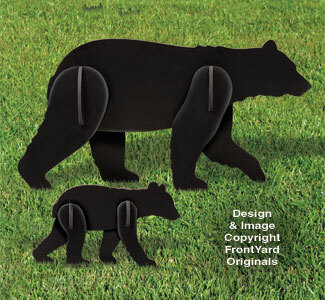 Expand your life-size Black Bear and Cub Display with two more Cubs for a lot more impact and realism! Stunning silhouette style display is precision manufactured in the USA from waterproof pvc material that will last for years with no maintenance. Self-standing tab and slot design assembles easily in minutes without tools. All pieces just slide together then easily come apart for convenient flat storage. Each cub measures 27" long. Black Bear and Cub (#FY2004B) is available below.